The mobile world is undergoing a wonderful standards convergence. Instead of an alphabet soup of competing standards – GSM, CDMA, HSPA, HSDPA, OFDM, WiMax, EDGE, UMTS, and a host of alternatives and variants spreading their spectrum around the world and subdividing our engineering efforts into an unmanageably complicated array of special cases – we now have LTE (for “Long Term Evolution”) which has won favor both across a wide swath of the industry geographically and as a standard with some legs that may keep it around longer than two generations of smartphones. Before there was LTE, the market was badly fragmented. Just about every geographical region had its own standard or version of a standard. Interoperability was weak to nonexistent, and getting economy of scale on engineering efforts and investment was near impossible. In that world, each project became a one-off, with few tools and little IP that were much use in the specialized task of designing and verifying a compliant device or system. Now, however, the industry has a standard that just about everyone can get behind for the long haul, and we are starting to see tangible benefits – in terms of things like tools and IP to expedite and improve the performance of LTE designs. LTE is not a simple standard – particularly from a signal processing point of view. Getting the kind of performance required to satisfy the mobile video-streaming, message-sending, email-reading, GPS-following, app-downloading public, and do it in a way that is manageable by the service providers and their enormous array of towers and packet processing farms – well, that requires some serious signal processing. When we think of serious signal processing, the first name that pops into most people’s mind is MathWorks – purveyors of all things math. If you want to do complex math, do it fast, visualize the results, and turn the whole thing into something you can use in your electronic design, MathWorks is probably already your best buddy. Their ubiquitous Matlab and semi-ubiquitous Simulink tools have designed more DSPs by far than any other tools in the proverbial virtual shed. But, who wants to do LTE starting from fundamental math? Not me. Luckily the fine mathmen at MathWorks pre-felt our pain and set about building a special-purpose tool kit, specifically for LTE design. The recently-announced LTE System Toolbox from MathWorks provides “standard-compliant simulation, verification, and analysis of LTE and LTE-Advanced wireless communication systems and devices.” So, instead of slogging along with a bunch of homegrown differential equations trying to figure out whether or not the signals coming out are LTE-ish enough, you can start with a proven, verified set of models and tools that will boost both your productivity and your confidence. The toolbox helps you get started – right out of the box – accelerating your LTE algorithm and PHY development. The toolbox plugs directly into Matlab, so if you’re already handy with the world’s most popular math tool, you’re off to a good start with your new LTE algorithm. 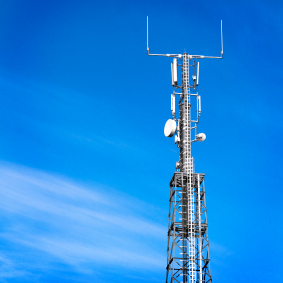 After you finish your LTE design, how exactly do you know if it is standards compliant? And, when you want to see if your design can consume LTE, what do you use to create signals that are a correct representation of the standard? The LTE System Toolbox solves both of these issues. It can help on both ends of the signal chain and in both the design and verification phases of our design. It’s more than just verification IP – it can help us perform a detailed analysis of the performance and compliance aspects of our design, generate the signals we need to try it out, and check that the signals we are creating are up to snuff. For most standards-based designs, we have gotten in the habit of creating our own testbenches. The first step of that process, of course, is reading the standard. Uh, oh. This is where we hit the first sign of trouble – the LTE standard would make Charles Dickens proud – and rich. There is probably nobody in your organization who can read and understand the whole thing. Having a toolbox put together by a team of experts in the standard and validated by numerous other teams working on compliant designs brings the whole proposition down to a manageable scope. 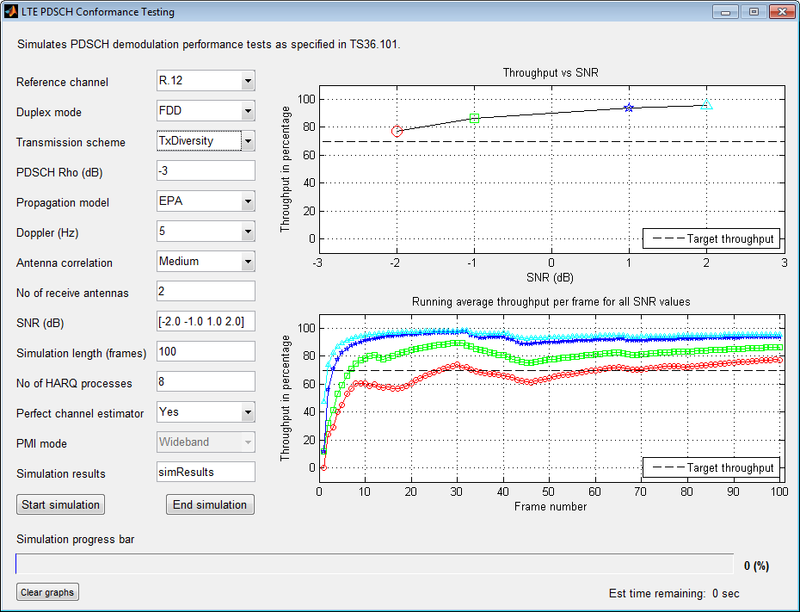 The LTE System Toolbox can help you create reusable testbenches to verify standards compliance. Along the same lines, the toolbox supports test waveform generation – which can be used to drive your physical test equipment during your prototype evaluation process. The company says you can use the toolbox to “configure, simulate, measure, and analyze end-to-end communications links.” Besides saving you a lot of time and anxiety working with a daunting standard, it might have the side benefit of saving you a bundle in specialized signal generation equipment. The toolbox includes standard-compliant models for LTE and LTE-Advanced releases 8, 9, and 10. It includes end-to-end physical layer transmit and receive processing functions, including OFDM (downlink) and SC-FDMA (uplink). It also includes MIMO antenna transmission and UE-specific beamforming functions, channel estimation, synchronization and MIMO receiver functions, and standard-compliant propagation channel models. Plus, it includes test models and reference measurement channel waveform generators and interactive tools for conformance and BER testing, and it provides recovery of low-level parameters such as cell identity. On the verification front, MathWorks says the LTE System Toolbox “facilitates the process of testing an LTE design by providing a golden reference implementation. With its comprehensive set of transmitter, receiver, and channel model components, the system toolbox provides test vectors and metrics needed to verify each individual component of the transmitter or the receiver. There’s a lot of capability packed into this toolbox, and, as you might guess, it isn’t cheap. However, the engineering time and risk it could save your team make the ROI on that purchase price pretty much a no-brainer. If your team has the engineering resources and talent to do LTE design, this kit should more than pay for itself on the very first project.